What are the less typical records available in many congregations/parishes? Rev. Dr. David McDonald, CGSM will tell us not only what they are but how these records can add depth to a researcher's understanding of their families of interest, both in the Christian tradition and in other religious communities. The Rev. 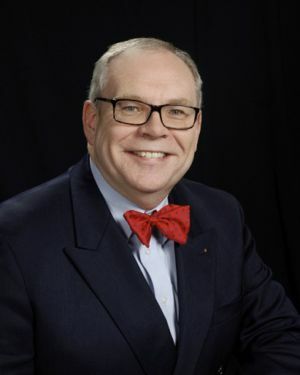 Dr. David McDonald, CGSM, is a past president of the Board for Certification of Genealogists® and a former director of the National Genealogical Society. A past editor of the Wisconsin State Genealogical Society’s Newsletter, he has published articles in genealogical journals and magazines since the 1980s. With nearly 40 years’ research experience, and more than 30 years as a genealogical lecturer throughout the United States and England, Dave brings a wealth of experience to his presentations. His research interests include New England, the Midwest, Germanic Europe, the British Isles and migration paths and patterns; his lecturing specialties include churches and their records, English research, Presidential genealogy and techniques for beginning and intermediate genealogists. Outside the genealogical realm, Dave is a pastor in the United Church of Christ holding advanced degrees from Eden Seminary in Saint Louis and a doctorate from Christian Seminary in Indianapolis. His wife, Dr. Jennet Shepherd, is an optometrist. They have three adult children and live near Madison, Wisconsin.